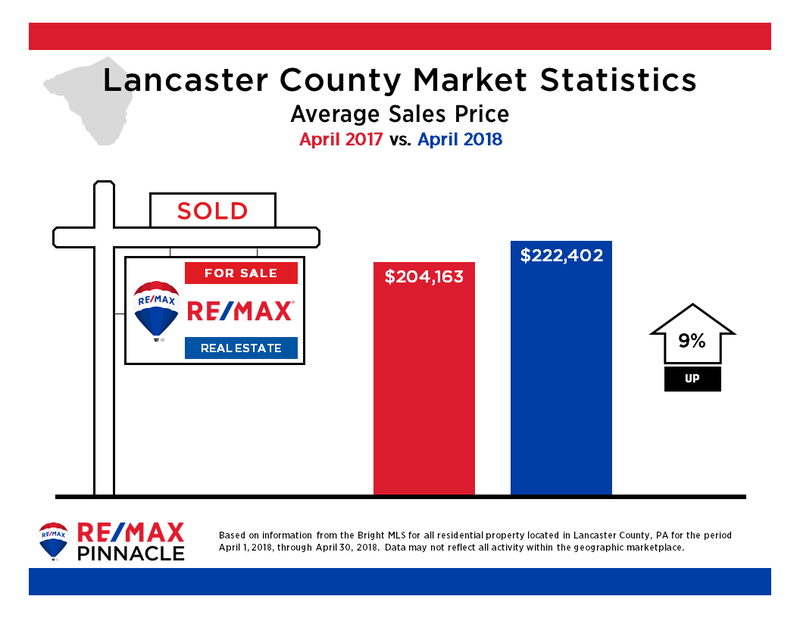 The Average Sales Price made a huge jump in April – 9%. We have been humming along for months between 1-4% so this is a significant change. As you will see when we examine the Absorption Rates this month, the upper price ranges (i.e. $400,000+) are now starting to move which is a good sign. Active Listings – Still down over 40% from last year at this time. 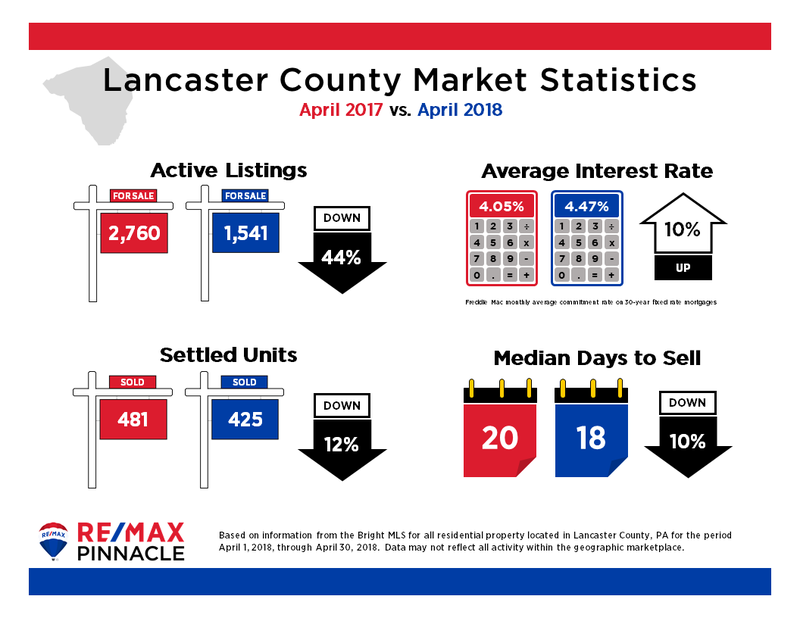 One positive from this category is that the number of active listings actually increased from last month by over one hundred. Let’s hope this trend continues. Settled Units – Down 12% from last year. This number is a little deceiving because we are still in a market where multiple offers on listings are commonplace. If we had more inventory, I believe we would be running neck and neck with last year’s figure. Average Interest Rate – The steady climb continues. Most experts agree that this number will continue to rise throughout the year. Median Days to Sell – 18 days!!! This is unprecedented. As mentioned previously, homes over $400K appear to be moving. 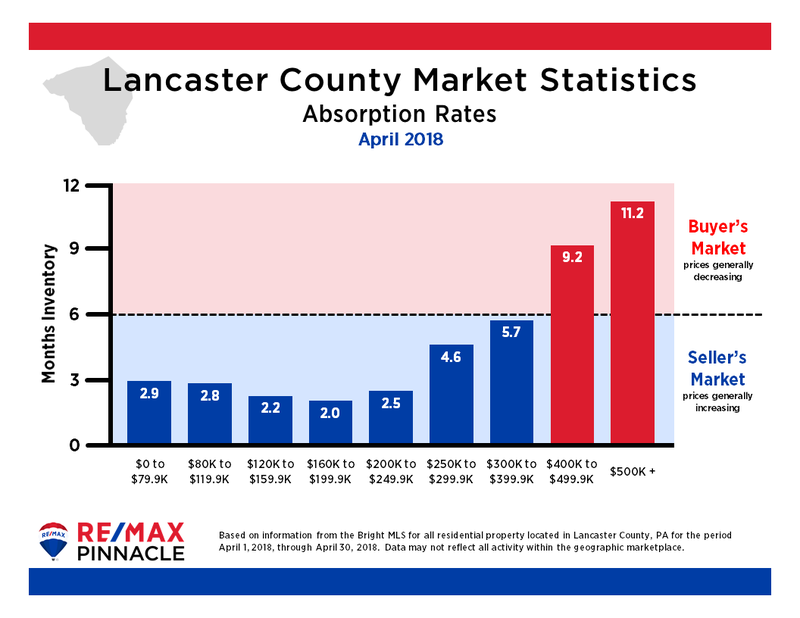 Previous months reflected absorption rates of 12+. This is the first time in a long time that both categories above $400K have dipped below twelve months of inventory.